I have been doing blogging for almost two years, and have found it to be a great way to get messages out, promote my business, and drive traffic to my site. I have also designed and set up over 30 blogs for my clients, and I continue to manage the content on some of them. So I thought I would write an article laying out the different options for blogging systems and sites. WordPress.com is a free blogging site, and you can set up a free blog there. They offer a fair number of themes you can use to customize the site, but you are somewhat limited in how the blog will look. You are also limited in how much you can customize the graphics of the theme with your logo and branding. 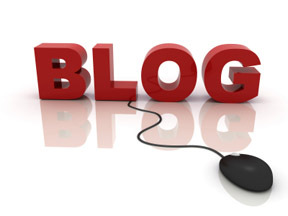 The URL of the blog would be something like http://nameofyourblog.wordpress.com. Typepad is a paid blogging site that costs $8 or $15 per month (depending on level of service) and offers quite a bit more design options and features. You can have your blog URL be something like http://nameofyourblog.typepad.com or you can put it on a separate URL like http://www.nameofyourblog.com. Typepad allows you plenty of design themes, and plenty of options in terms of using your own custom made graphics header, and customizing the content of the sidebar or sidebars. WordPress.org is also a system for creating a blog on your own site. The blog address would then be http://www.yourwebsite.com/blog. You could also set up a blog as the main thing on some web address that you would select, such as http://www.nameofyourblog.com. WordPress.org, as opposed to the free blog site www.wordpress.com, is the gold standard of blogging design, and offers the biggest selection of design templates and features. You can pick a theme and then customize the graphics that come along with it to add your logo and branding. You can also have a customized WordPress theme made to your specifications. There is no monthly fee with WordPress.org. It will usually cost more to have someone design you a blog using WordPress.org as it is more involved. One technique that I have followed in the last year is to set up a main blog for a client using either Typepad or WordPress.org, then set up additional blogs for them on the free blogging sites. There are six free blogging sites I have used including WordPress.com. The purpose of doing this is to get the client’s message out more broadly. Also each blog post contains keywords that we want the client to rank well for on the search engines, and we make each of those keywords into a link to pages on his main site. So each time you post an article or press release on your blog, and it goes out to six or seven blogs, you are multiplying the new links to your site by that number. I have had some people ask me about duplicative content and a “duplicative content penalty.” While I have seen some prominent people worry about this, I have checked it out thoroughly and there is no duplicative content penalty, which Google even says on its web site. This, apparently, is an urban legend. There is no problem with taking one article and putting it on seven blogs or on a couple hundred article directory sites. Posterous.com has an added benefit, which is that once you start accounts on all these blogs, you can hook up all your other blogs to it so that when you post something on Posterous.com, it goes out automatically to all the other blogs. This fits nicely with my overall marketing strategy, which is always to take one item or action and have it go out as far and wide and hit as many people as possible. One important action to do whenever you post something to a blog is to send out a notification called a “ping” to the blog search engines, of which there are over 20. This is not needed with any WordPress blog or Blog.com (built on WordPress architecture) as WordPress has a feature to do pinging automatically. I prefer to do it manually with a website called www.Pingomatic.com, as it gives me more control and it sends out a ping to all the blog search engines. Whether you do it on an automated basis or manually, it is vital to ping after every single blog post, as this puts your new content into all those search engines and drives good traffic to your blog.